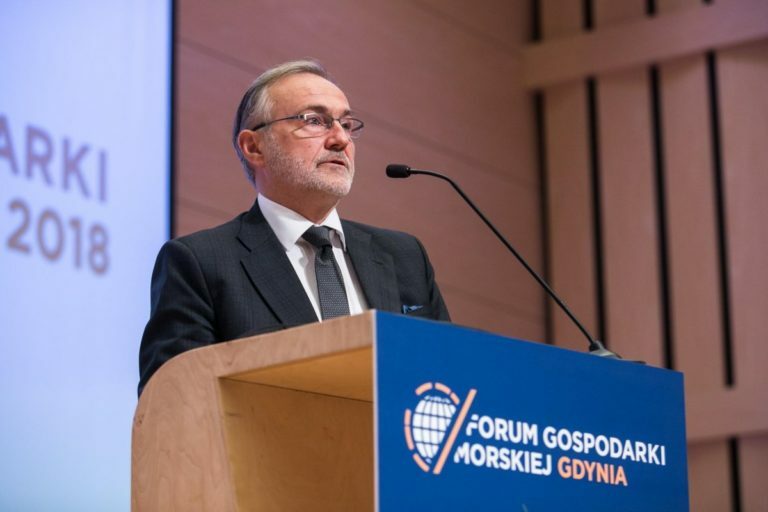 More than 600 maritime professionals have gathered for the 18th annual Maritime Economy Forum, in the port city of Gdynia in Poland. 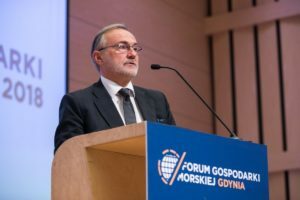 The conference began with an impassioned plea from the Mayor of Gdynia Wojciech Szczurek to the Polish Government to unleash the power of the Port of Gdynia by investing in the ‘Red Road’ plan. The conference was then addressed by Katarzyna Krzywda the director of the Polish Ministry of Maritime Economy and Inland Navigation. 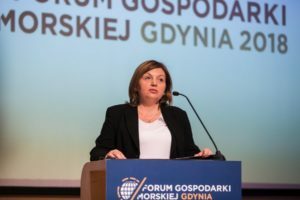 Ms Krzywda discussed investing in a new ‘green shipyard’ programme to develop modern facilities for recycling ships and said work was well advanced with the effects being seen next year. Ms Krzywa further announced a Maritime Development Fund to support shipbuilding, ship repair, ship owners and ports. The fund she reported is now under consultation with a start date of the third quarter 2019. Ms Krzywda also mentioned new funding for Polish fisheries, to support traditional family businesses and made a commitment to tackle the effects of climate change with improved water security and water retention programmes. Speeches then followed from the European Commission’s Magdalena Andreea Strachinescu Olteanu on maritime innovation and professor Jonathan Holslag, from the Brussels Institute of China Studies, who gave a wide-ranging speech on the threats posed to the EU by China’s global growth strategy. The forum then broke for four panel discussions. The first on maritime industries focused on Polish-French cooperation in shipbuilding which was addressed by Francois Lambert of French ship building trade body GICAN and Jerzy Czuczman of the Polish Naval Architects and Marine Engineers Association, as well as the French Naval Group, SEA Europe and the Remontowa, Crist and PGZ shipyards in Poland. A second panel examined seaports and how technology is driving efficiencies in port operations with speakers from the Ports of Gdansk, Szcecin and Gdynia as well as Hamburg. A third session looked at maritime logistics and the opportunities created by new trade routes including China’s Silk Road and the Arctic Route. Meanwhile, a fourth panel discussed the ship management industry and the impact of big data and consolidation with speakers from the Polish Ship Managers Association, DNV GL Poland and V-Ships Poland. 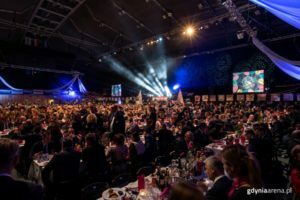 Later in the evening delegates and speakers from the forum joined more than 2500 maritime professionals for the annual ‘duck dinner’ in Gdynia celebrating Poland’s maritime industry. The organisers of the Maritime Economy Forum are the city of Gdynia and the Gdynia Development Agency. 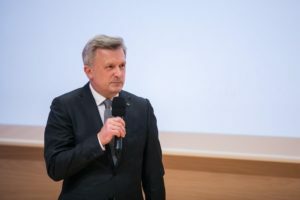 The conference was held under the patronage of the Ministry of Maritime Economy and Inland Navigation, the Maritime Office, the Polish Investment and Trade Agency and the Polish Chamber of Commerce.